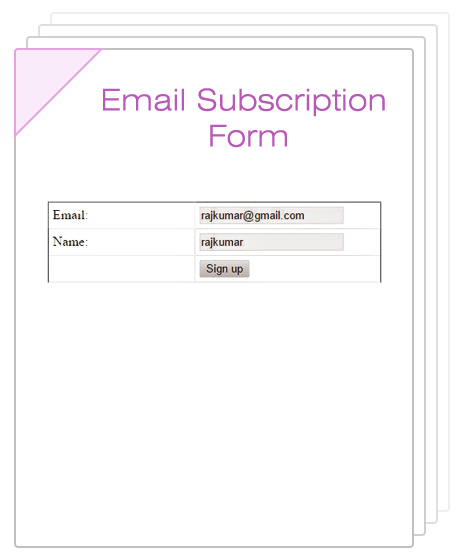 This is one of the important concept The Email Subscription or Newsletter SignUp, This concept is used get the user Name and Email for to Provide our Latest Updates to the clients. The second option is to get the Email id from customer and store it to the database table. The Third one is to store the Email id and customer name to the Our Email. In this post i am explain about the First way , That is to store the email and name to the Notepad or Text Documents.